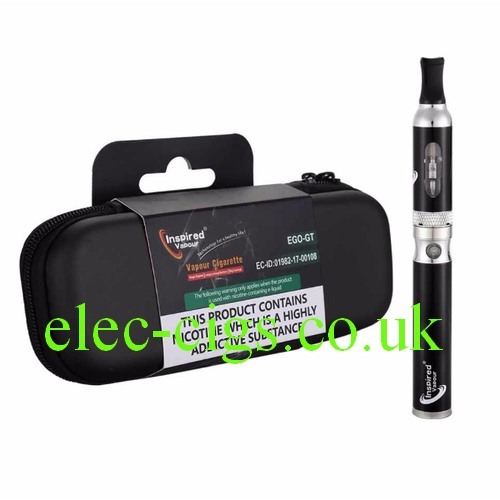 This is a GT E-Cigarette which comes from the same manufacturer as another of our GT cigarettes. It is available in several colours. 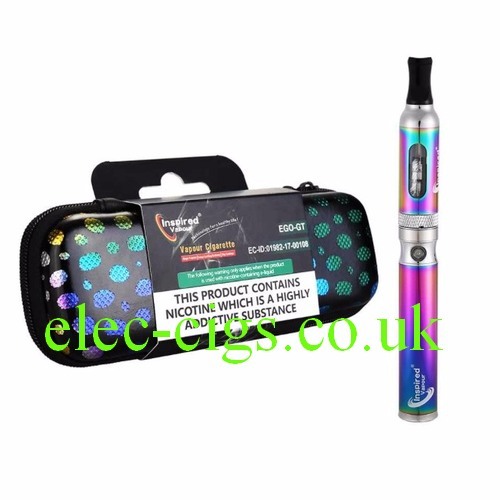 It comes complete with a colour matched case, charging cable (USB) and an instruction leaflet. It has a 2 ML tank capacity. 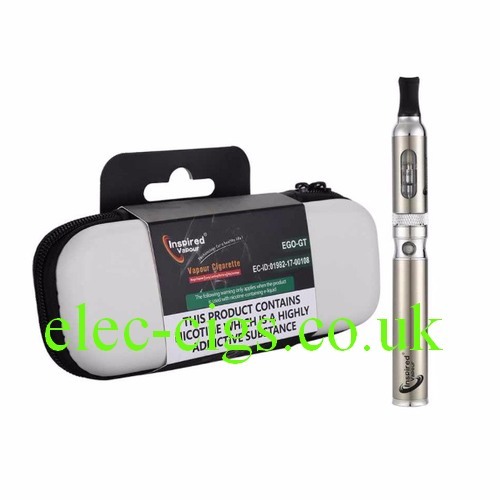 Inspired Vapour GT E-Cigarette Click the button 5 times in quick succession to turn it on or off. 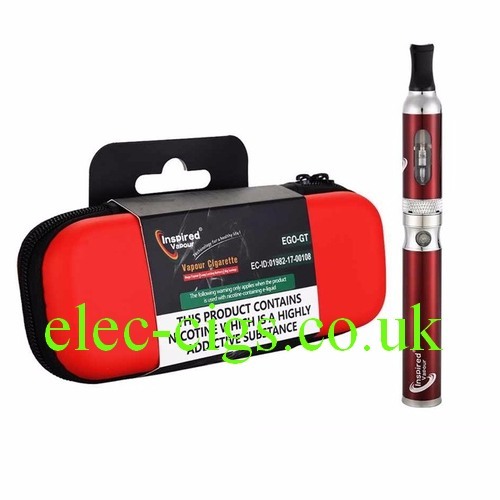 Click the button 3 times to change the power voltage: a light around the neck of the battery indicates the voltage: a green light is low voltage and a small amount of vapor production: a blue light is medium voltage and a moderate amount of vapour and finally the red light indicates high power output and an enormous amount of vapour. The battery cannot be overcharged as there is a microchip which prevents that. 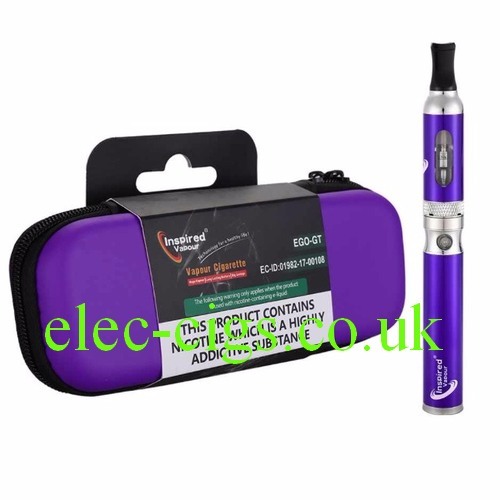 If used with liquids containing nicotine then this product contains nicotine which is a highly addictive substance.